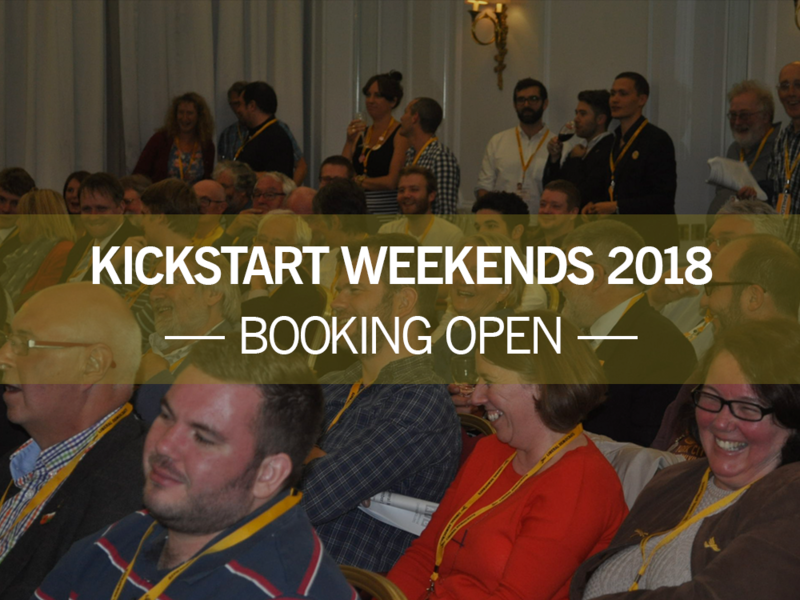 Kickstart is the name of our highly regarded residential training weekend. We bring together the party’s most experienced and successful campaigners to train campaign teams from across the country. If you’ve been before you’ll know all about the weekend’s benefits. And if you’ve not, come along to get tailored, professional advice; training and bespoke mentoring for your team from experienced Liberal Democrat campaigners and councillors. The weekend caters for everyone; whatever your role in a campaign, and regardless of your experience. You’ll go away having improved your campaigning skills and with a well-developed campaign plan ready for your next set of elections. Kickstart is the boot-camp you need to win. The weekend also provides an opportunity to meet and network with like-minded Lib Dems, who want to campaign hard to get the best deal for their community. ALDC members: current early-bird rate of £160 for a single room (usual price is £240) and £130 for a double or twin room per person (usual price is £210). Non-ALDC members: £280 for a single room; £250 for a double or twin room per person. Join us to benefit from discounted attendance.